On Monday, as part of its lawsuit regarding the Justice Department’s continued investigation of Hillary Clinton, American Oversight asked the court to allow for discovery, including potentially depositions, a legal proceeding rarely used in Freedom of Information Act litigation. The discovery request comes after the Justice Department produced a signed letter from former Attorney General Jeff Sessions months after it said the letter didn’t exist. The letter had been attached to an email from then–Chief of Staff Matthew Whitaker to U.S. Attorney for Utah John Huber — both of whom had told a FOIA official that there was no such record. In late 2017, American Oversight had requested and eventually sued for the release of documents related to Sessions’ appointment of a federal prosecutor to investigate former Secretary of State Hillary Clinton and other executive branch officials. The Justice Department submitted a sworn declaration in November 2018 that no written directive existed, but three months later said that it had found a letter from Sessions directing U.S. Attorney for Utah John Huber to undertake the investigation. The Justice Department’s belated unearthing of the letter calls into question not only the adequacy of its original search, but also whether the department has complied with its duties under FOIA. Throughout the 2016 presidential campaign — and after taking office — President Donald Trump and his supporters have used the rallying cry of “Lock her up” to call for the prosecution of Clinton. In November 2017, the assistant attorney general for legislative affairs, Stephen E. Boyd, sent a letter to the House Judiciary Committee informing members that then–Attorney General Sessions had “directed senior federal prosecutors to evaluate certain issues” that then-Chairman Bob Goodlatte and others had raised in previous letters to the Justice Department. Goodlatte had sent requests to Sessions and Deputy Attorney General Rod Rosenstein, asking for the appointment of a special counsel to investigate numerous lines of inquiry regarding Clinton and the 2010 Uranium One sale, as well as the FBI’s handling of the Clinton email inquiry. After Boyd sent his response, American Oversight submitted several FOIA requests for records related to the appointment of the “senior federal prosecutors” he mentioned in his letter, including guidance or directives given to those prosecutors. When the Justice Department failed to provide records, American Oversight sued. In March 2018, a letter from Sessions to congressional leaders revealed that he had appointed only Huber to investigate Clinton — not multiple prosecutors, as indicated by Boyd’s letter. American Oversight’s ongoing lawsuit led to the Justice Department submitting a sworn declaration in November from the senior counsel handling the FOIA requests stating that Sessions’ guidance to Huber had been provided orally, and that there were no written directives. 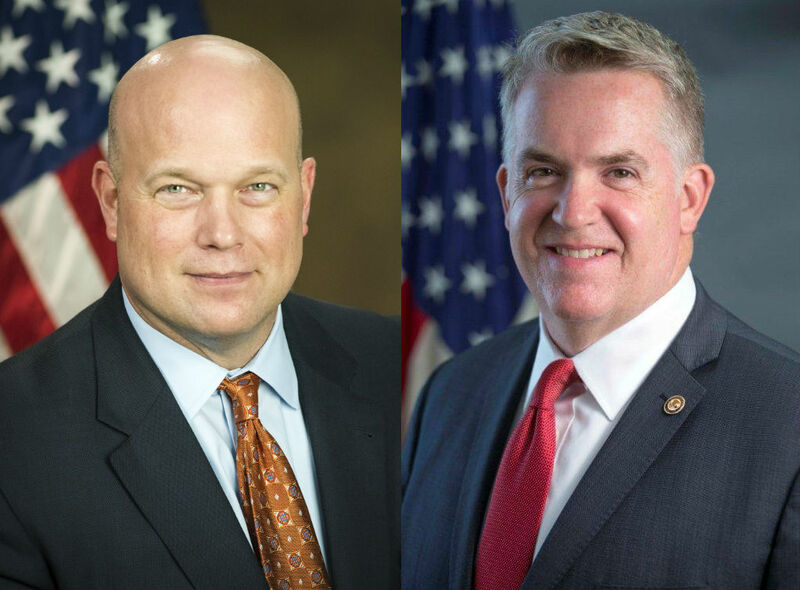 The FOIA official said she had spoken with a lawyer in the attorney general’s office, who had in turn spoken with officials including Huber and the attorney general’s chief of staff — then Matthew Whitaker, who had at the time of Brinkman’s declaration been appointed acting attorney general following Sessions’ resignation. According to the attorney general’s office, no written directives existed. Three months later — on February 28, two days before Whitaker left the administration — the Justice Department found Whitaker’s email with the letter from Sessions instructing Huber to carry out Trump’s authoritarian demand to investigate Clinton. The directive, dated November 22, 2017, had never been released to the public, and its existence directly contradicted the sworn declaration. The department waited until March 8, after Whitaker had left the administration, before releasing the record in full, without any redactions to account for the delay, to American Oversight. During a Senate hearing last week, Attorney General William Barr said he believed that spying on the Trump campaign, by the FBI, “did occur” — though he provided no evidence. Barr’s incendiary statement could provide fodder for conspiracy theories related to Special Counsel Robert Mueller’s investigation and final report, a redacted version of which Barr is expected to release later this week. His claim also underscores the importance of uncovering all the facts regarding the politically charged investigation of Clinton. When the Justice Department finally found Sessions’ directive to Huber in late February — attached to an email from Whitaker, with the message “As we discussed. MW” — the agency provided no explanation for how it came upon the letter so late, or how it had missed such a formal directive in the first place. Last week, the department stated that it had finished conducting a “supplemental search” for other related records and found none. Based on the limited information provided by the department, this new search remained inadequate and continued to rely on aspects of the flawed search conducted last year. FOIA litigation is usually resolved without discovery — a pre-trial procedure that allows parties to obtain evidence — thanks to a presumption that government officials are properly carrying out their duties in good faith. Cases typically rely on detailed declarations from the government agency, such as the FOIA official’s declaration that no written records existed. But the belated production of Sessions’ letter calls all of that into question. As American Oversight states in its brief to the court, “Any presumption of regularity is fully rebutted by this record.” By requesting discovery, American Oversight seeks information that could help determine whether the Justice Department has adequately fulfilled its obligations under the Freedom of Information Act.